At John Houston Custom Homes, we believe in Building Lifelong Relationships. With the Holiday Season nearing, we are given the opportunity for these relationships to grow and expand. Thanksgiving is one of our favorite holidays. We are able to gather together with family and friends to stuff our bellies with delicious food. However, if you’re anything like our families, you’re left with an impossible amount of leftovers, leaving you with a fridge full of Tupperware. Today’s blog is for YOU! 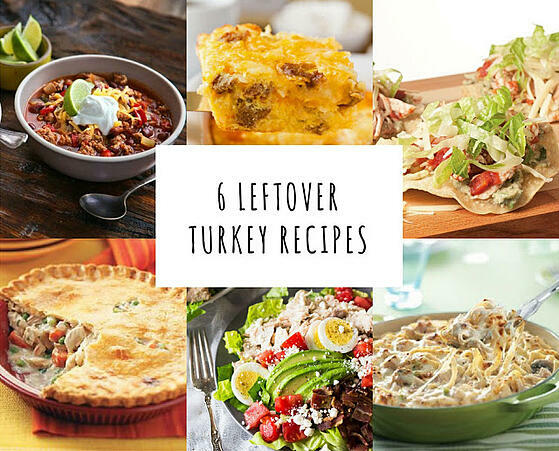 Say goodbye to turkey sandwiches and hello to these quick and easy recipes that are sure to be a “crowd-pleaser”!